Welcome to Reynold Automation. Supplier of Process Control and Sensing Instruments. The company was established in 2005 at Vadodara. We are an Authorized distributor of Honeywell and Maxon and our products are Applicable in Power, Cement and Paper Industry. Our Client centric approach and streamlined business practices help us to serve Clientele like Siemens Limited and Videocon. We offer a wide assortment of Industrial Measurements, Bus Accessories and Electronic Sensors. 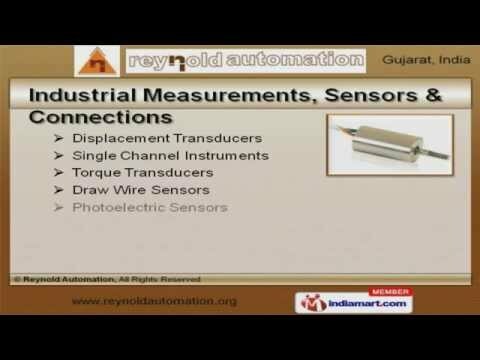 Our Industrial Measurements, Sensors and Connections are a class apart. We are highly instrumental in presenting a wide spectrum of Industrial Module Cartridge, Identification and Combustions that are extremely reliable. We are offering a high quality range of Industrial Burners, Gas and Oil Flow Valves that are cost effective. Our Bus Accessories and Electronic Sensors are widely acclaimed in the market. Electro Mechanical Switches and Turck System Solutions are reckoned all over the world for their superb quality.